Our Bella sandals are handmade by an Italian cobbler, keeping with the Island of Capri's tradition of using handmade soles and top quality materials. 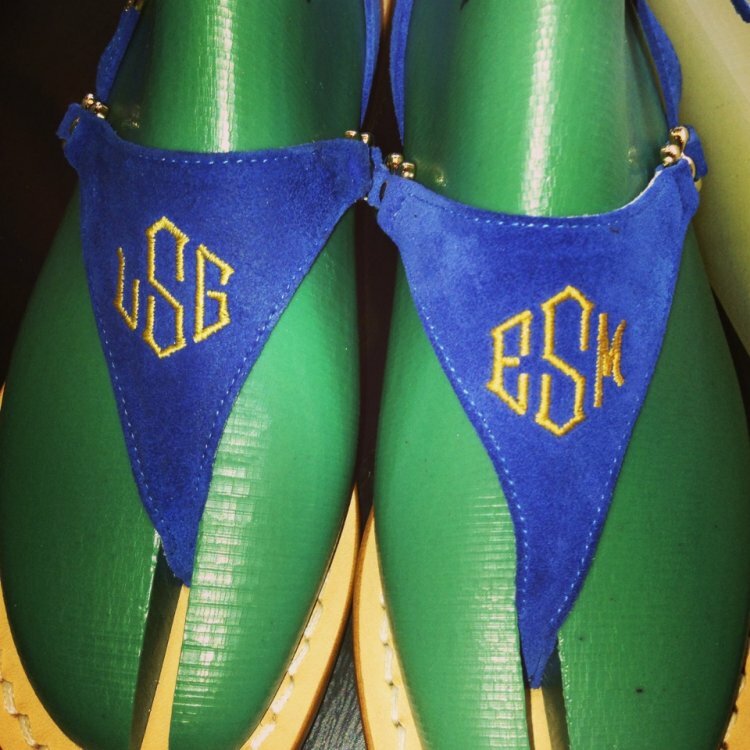 Bella is our monogrammed sandal that comes in many colors and fabric types: you can personalize with choice of thread color, font style, heel size, width, and shoe sizes from 4-13. Customize them with name, letter or monogram, which is around 1.5 inches in diameter depending on the amount of letters required. 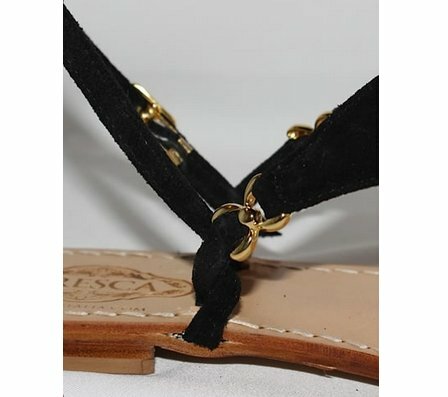 Bellas are made different from our sandals with jewels. 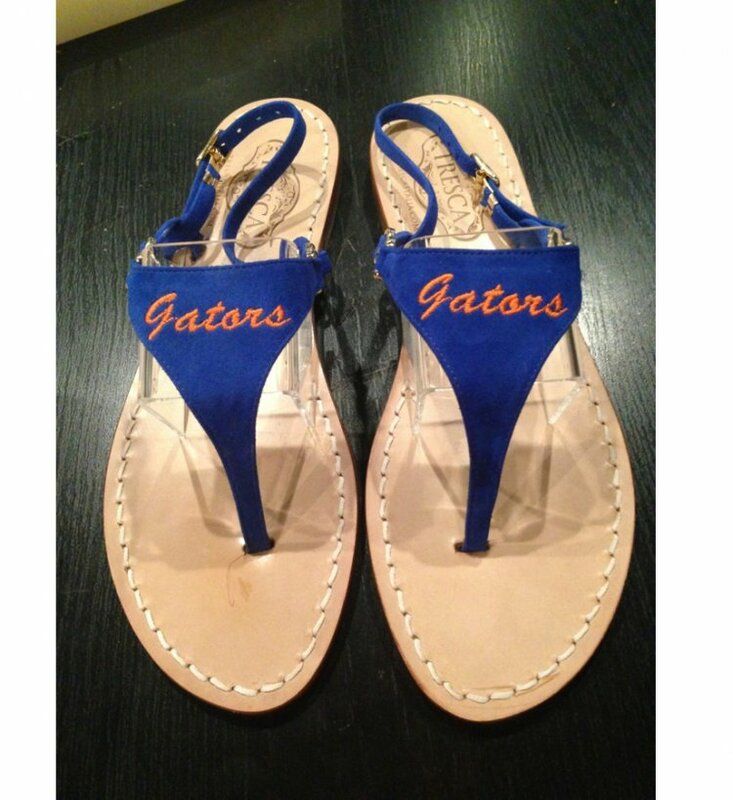 The side straps are placed facing out versus in with the jeweled sandals. This allows for you to adjust as needed over the top of the foot, at the same time keeping them secure around the ankle. Note: These come in medium width, but you can request wide width in the comment box. Price: $150.00 In stock! - Browse this brand: TrescaOur products are custom made to your specifications. This product ships up to 3 weeks after your order is placed. Note: Standard is with a medium width. If you need a wide width please indicate this in the comment box. adding wide in for the shoes-For Custom Fitting Purposes Only. This will not affect the size or width of the of the sole only the jewelry and leather placement. There is no variation in sole width.